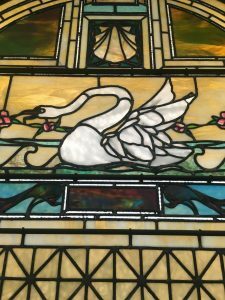 If you’ve visited the Spalding Reading room on the second floor post 1989, you’ve seen the beautiful stained-glass window on the north wall. 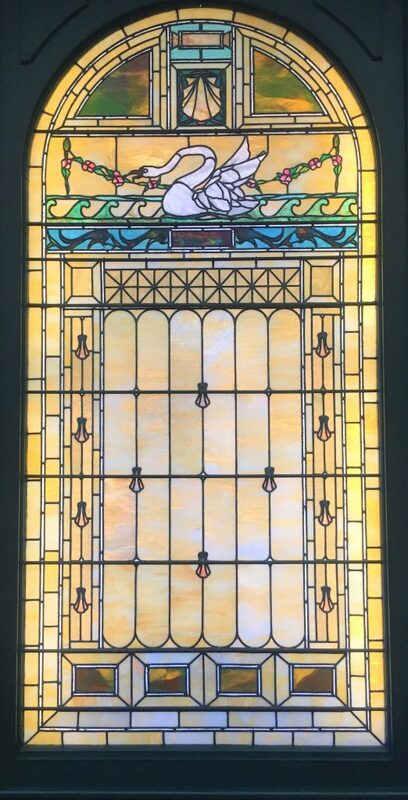 The window was given by family members of Ralph Isham, namesake of the Isham Memorial Library, who, in 1932, donated an Aeolian Skinner organ and in 1934, the funds to purchase music for the instrument. The room in which it is housed is named after Walter R. Spalding, John Knowles Paine Chair of the Music Department from 1906-1932. Before making its way to the Spalding Room, the window was held in the Vermont home of lawyer and politician Edward Isham, Ralph’s cousin. The window is an impressive 8 feet tall and likely dates from the 1880s. 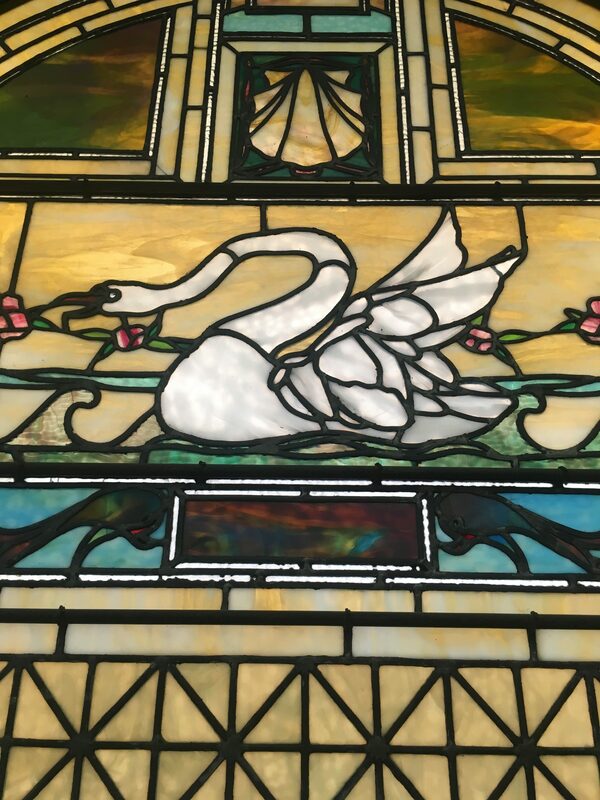 It features a large, white swan, also prominent in the Isham family crest. 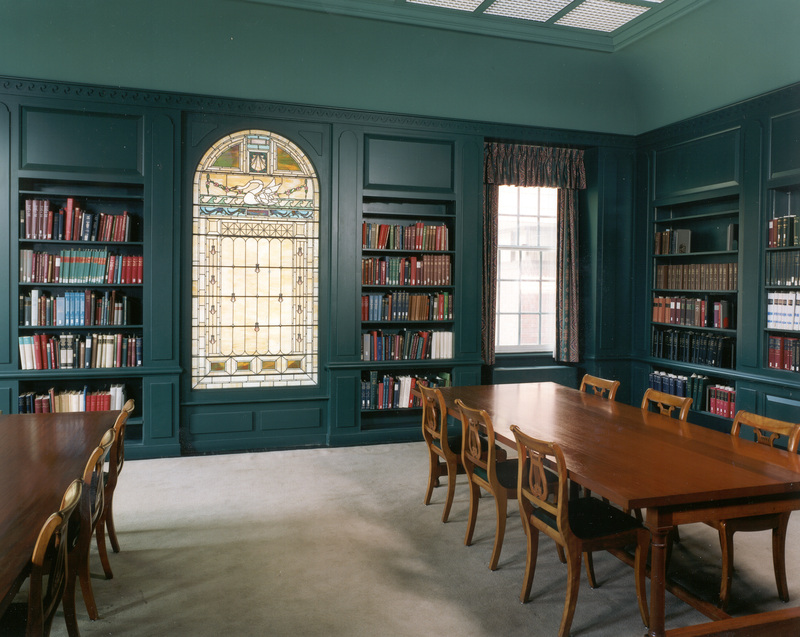 A dedication of the window occurred during “Music Librarianship in America” symposium held at Harvard on October 7th, 1989. For more history about the Loeb Music Library, visit the history page of our website.